We began our move in late 2009 when we started sorting through five years of accumulated stuff and determining what we’d like to keep. We donated many things and packed up the rest. 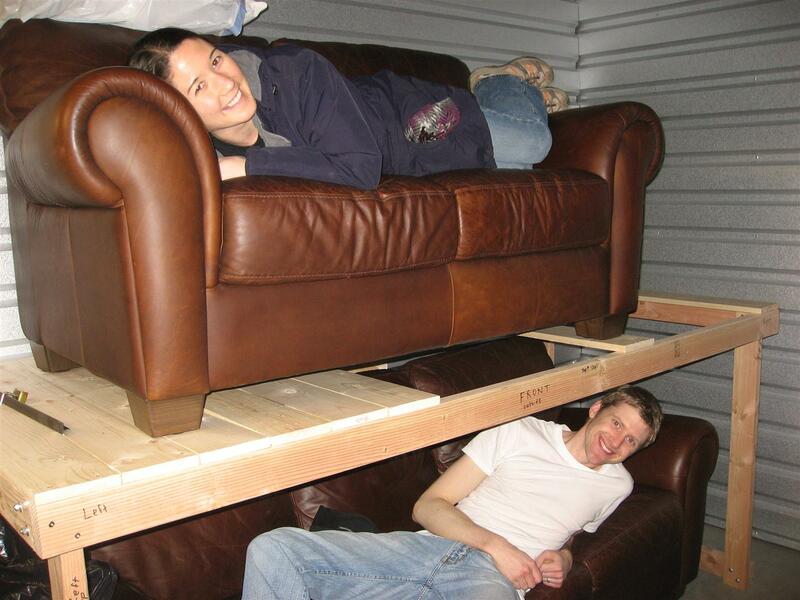 In January 2010 we kicked our move into high gear by working with the greatest moving company ever – Craigslist. The Craigslist movers will not only pick up your stuff, but pay you for it as well. In March we moved out of our house. Allison’s mom and my friend Randy helped us move our large items into a storage unit. We initially shoehorned everything into a 10’x10’ space, but later upgraded to a 10’x15’ unit. We finished our move after a few final days of employment. We were lucky enough to sell both of our cars during a frantic two days of wheeling and dealing. The downside of these hurried transactions was that we had no transportation from Minnesota to Wisconsin, our temporary home base before departure. Fortunately my dad volunteered to pick us up. We packed up the last of our things and cleaned the house during a short 15 hour day. We left the Twin Cities right on time, at 11:00 in the evening, and arrived home in Wisconsin at 3:00 the next morning. At one point my dad remarked that he hadn’t been up that late in about 30 years.